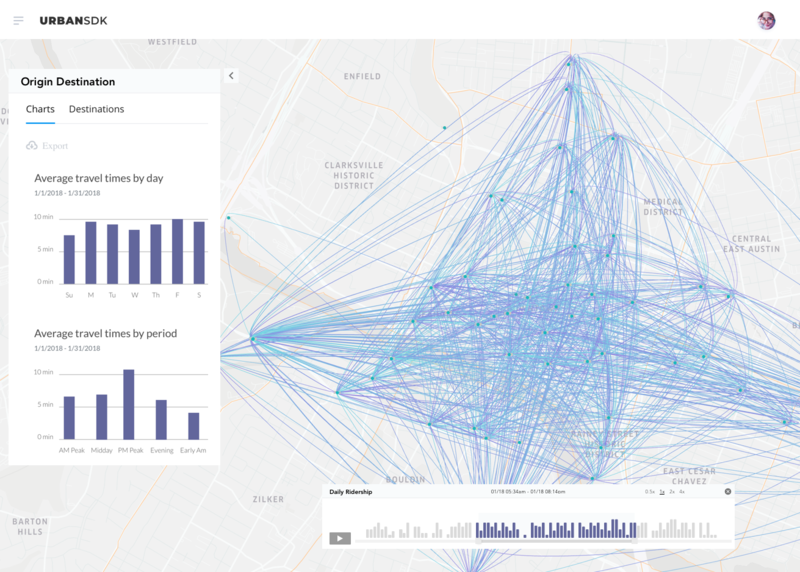 We're excited to announce the release of our newest dashboard to help mobility managers visualize bike, scooter, and ride share programs. We'll be going through the release live to demo how you can analyze O/D, business performance, track trips, and predict demand. We're excited to announce our newest dashboard to support mobility managers and operators with predictive analytics, geospatial data analysis, and performance measures. We'll be going through the release live to demo on a live stream and we hope you can make it! As more cities globally prepare to add new public micro-mobility and ride hailing services, we are getting them ready to understand how they can take advantage of open mobility data and predictive analytics. How many people use our bike share program? When do they use our bike share program? What are our expected revenues? Why do people choose micro-mobility? What parts of our city are greatest/least impacted? Where is our most popular checkout/return kiosk? How can we predict demand or ROI? Our team will speak with leading micro-mobility service operators, practitioners, and policy makers on the things to think about before you launch and consider such topics as open data concepts and standards, specifications like the emerging Mobility Data Specification, and mobility data management projects. Participants will also gain hands-on experience with Urban SDK cutting-edge mobility analytics and software tools for visualizing and leveraging mobility data. Great success! You are registered to join the live stream. Oops! Please review the require fields and submit again. See how predictive analytics, data visualization, and 140+ data source can impact your city.